My Nature series Part IV is about roses. Bobby Vinton's great song Roses are red (my love) and I are almost contemporaries. 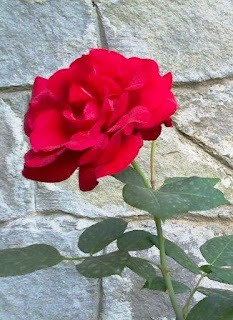 I can't say if that's why in my childhood I never saw a rose that was not 'red', if you know what I mean (pic, right). We always had roses in our lawn, red roses. At school, there were some pink ones, but not enough to matter. Roses were red, that's it. Even when we visited Rashtrapati Bhavan's Mughal Gardens, the flowers there came in a range of colours beyond the possible, but I still don't recall if the roses were anything but red. At school, on picnics, they were always red: just occasionally pink or, once in a blue moon, even white—and those didn't count for me. 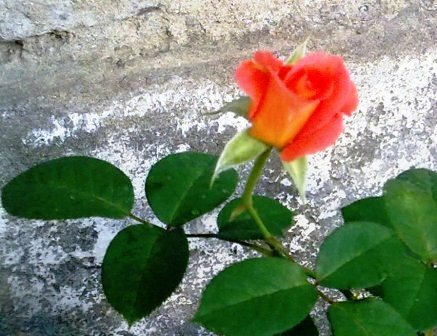 I'd heard of rose gardens where the flower showed off many other colours, but the one we visited in Chandigarh right after our marriage was yet to bloom with those unseen splendours. 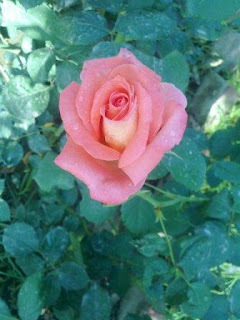 I was so disappointed, I have never stepped into a 'rose garden' again. When the husband decided that family vacations must be spent in the hills, I grew very fond of the rugged bushes on which small roses bobbed in marvellous bunches not seen on the plains—and the roses were not red, but baby pink. 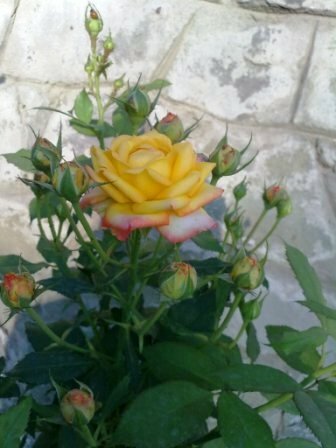 An erstwhile neighbour (I know, my neighbours keep walking in and out of my blogs, too) and I shared not only the same month of birth but also a weakness for roses. She planted rose bushes outside her flat and mine. Hers prospered, mine would not. 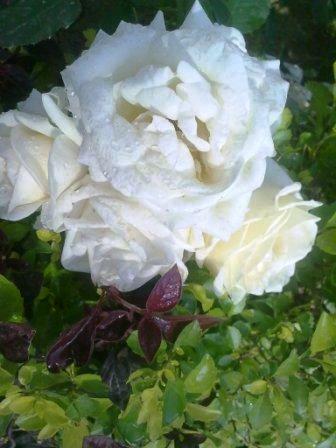 She fought and struggled till finally she trumped nature and one day called out to my father-in-law to flaunt the fruit of her labours...a lovely white rose. More have followed, and her successor in the house even today looks after them with as much care. 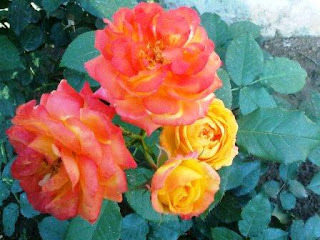 Now there's a whole assortment of roses right outside my house in Punjab. They help keep the husband in good health, for he must admire them morning and evening for at least half an hour daily. This lot's fresh from my latest sojourn there. My amateur self took quite a while to click these "things of beauty" (due apologies to John Keats) over a couple of days so that they become "a joy forever": white roses, pink ones, soft orange, peach-coloured, yellow-running-into-orange, yellow, pale pink, white with red edging, deep red, bright red. They come in solo formation, couples, triplets and even clusters. I could spend days feasting my eyes on them, so am putting a few of the beauties out here.